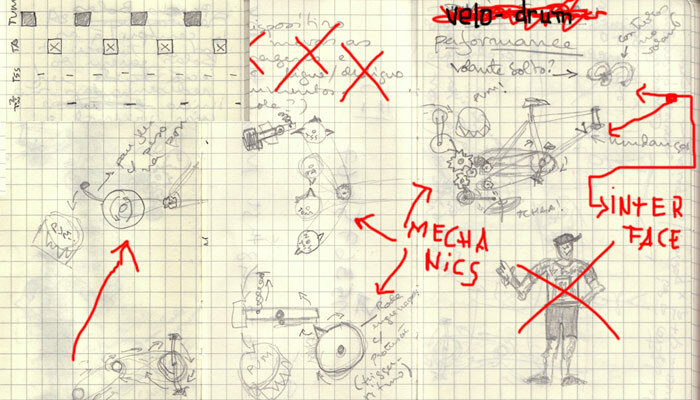 what are bycicles + drums + music boxes going to blend into?! Velodrum is a human-powered sequencer inspired by bicycles, the ‘piano mecanique’ and the classic Techno sequencer Roland-808. 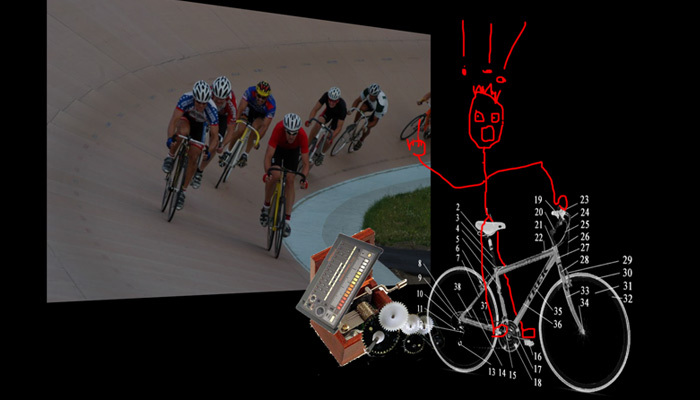 What do bicycles have to do with rhythm?!..everything! the more steady one keeps the pace (rhythm) the longer you can go on a bicycle! 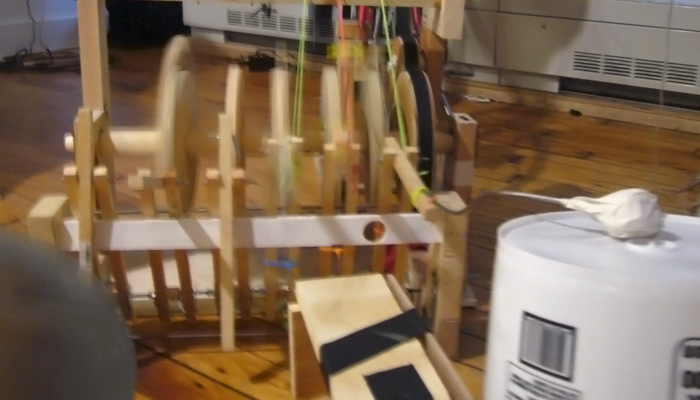 Sometimes, little sticks or dried pieces of grass get in between the wheel spokes, other times we voluntarily stick pieces of cardboard to produce rhythmic sounds by hitting the spokes. 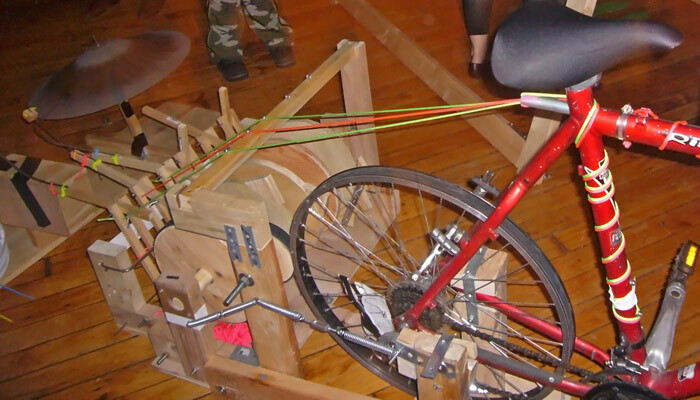 The velodrum is a modified bicycle that will build pattern structures triggered by the usual bicycle controllers (brakes, gear shifters). 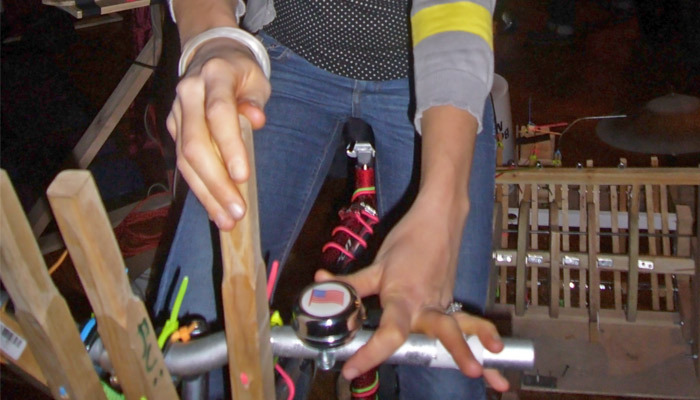 The performance piece played with the emotions of racing and bicycle leisure times. A (linear) video projection on the background will allow me to play with the images content and be challenged and challenge other racers and (probably) other characters that might appear on screen. My inspirations were based in explorations of childhood bike rides, rave culture and, also, the ‘piano mechanique’ and its role as an background soundtrack for silent movies.